If you take a quick walk down any high street and count the number of betting shops, you'll realise that the UK is a nation of bettors - with 73% of British adults participating in at least one form of gambling each year (including the national lottery). For some this will just be a weekly lotto ticket or annual punt on the Grand National, whilst for others it's a regular form of entertainment. Almost all betting activities can also now be performed on the internet, with online bookmakers taking bets 24/7 and virtual casinos open for business around the clock. There are now more online betting sites than you can shake a digital stick at, so choosing a good one can be a tricky task. Do you go for a big high street name, or will you get better odds and offers from an online-only sportsbook that doesn't have the overheads associated with a physical presence? These are all questions we'll try and help you answer, alongside articles and how-to guides on everything about betting. From dead heats to tax and everything in between. However to kick things off if you're simply looking for somewhere to bet then we can happily recommend the following bookies who make up our top 10 list. Notes: 18+. UK+IRE only. Min first bet £5 at odds 1/2 or more. Tote and Pool excluded. Must be placed within 14 days of account reg. £20 credited as 4 x £5 free bets. Not valid with Cash Out. Free bet valid for 4 days. Free bet stake not returned. T&Cs apply. Notes: Deposit and bet £5 or more for a total of £30 in bonuses - 2 x £10 free bets and 1 x £10 casino bonus (debit/credit cards only). Wagering requirements and terms and conditions apply. Begambleaware.org. Notes: 18+ New UK+IRE customers. Paypal and certain deposit types and bet types excluded. Min £5 bet within 14 days of account reg at min odds 1/2 = 4 x £5 free bets. Free bets valid for 4 days on sports, stake not returned, restrictions apply. T&Cs apply. Notes: New Customers; Min. deposit £15 (no Skrill/Neteller); Bonus amount is 50% of deposit up to £100; 6x deposit and bonus turnover (min. odds 4/5 on singles and 2/5 per selection on acca bets), in 30 days, for bonus release; Some bet types don’t contribute to turnover; Withdrawal before turnover results in bonus cancellation; Terms apply; 18+. Begambleaware.org. Notes: New customers only. Deposit and bet £10 or more for £30 in free bets. Minimum odds to qualify are evens but both single and multiple bets are eligible. Free bet credited within 48 hours of settlement and expire after 7 days. T&Cs aply. 18+. Min odds 1.8 Plus £200 casino bonus and loyalty points on bets. T&Cs apply, 18+. Notes: New customer offer. Place 5 x £10 or more bets to receive £20 in free bets. Repeat up to 5 times to receive maximum £100 bonus. Min odds 1/2 (1.5). Exchange bets excluded. T&Cs apply. Note: Terms and conditions apply to sign up offers. Offers are for new customers only. Please bet responsibly (18+). 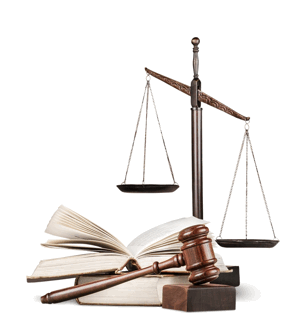 Online Gambling in the UK - is it Legal? Gambling, both online and offline, is legal in the UK and strictly regulated by the UK Gambling Commission. This means that the betting sites have to abide by certain rules relating to how they treat their customers and how they advertise their services. It also provides a number of safeguards for you as the user, including the provision of an ombudsman who you can complain to in the event of a dispute - just like you can with any other regulated product such as energy, banking or telecoms. Since the introduction of the new gambling act in 2014 it is also illegal for any non licensed operator to accept bets from a UK based customer. To help make sure you're betting with the right people, all of the sites you see on BettingSites.org.uk are licensed in the UK. Many are also members of IBAS, an independent third party who acts as an adjudicator to mediate disputes between customers and bookmakers. Incredibly, gambling in the UK dates back centuries, with research suggesting that even in the Middle Ages the ‘lower classes’ enjoyed a flutter or two on card games, animal races and other acts of random chance. Betting became popular amongst the aristocracy during King James I’s reign in the 17th century, and this particularly sparked an interest in horse racing. Many of the classic races as we know them today, such as the Grand National, the Gold Cup and the Derby, were founded around this time. 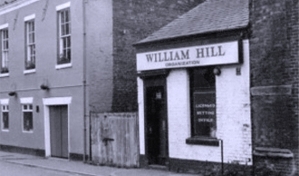 First William Hill Shop Circa 1966. In the 1800s it is thought that approximately 400 betting shops existed in London, however the Betting Houses Act of 1853 would put an end to these for more than a century. It remained legal to bet at race courses however, and a number of illegal bookies operated ‘off site’. Two of these were the origins of what would become Betfred (Fred Done and his father) and BetVictor (Victor Chandler Sr). In 1960 the Betting and Gaming Act legalised gambling on the UK high street. Ladbrokes were the first to open their doors to the public, while an estimated 10,000 bookies opened within the first six months of the legislation passing. New legislation passed in 1986 allowed such things as seating, hot drinks and TVs into betting shops, however a change in taxation law shortly after forced many bookies to head overseas, with Victor Chandler the first to head to tax haven, Gibraltar, in the 1990s. The next threat to traditional bookmaking would come from a very different source. The internet became more prevalent in homes in the noughties, allowing punters to have a flutter without even needing to leave the house. This would change the face of the industry forever. It was this boom in the availability and speed of internet connections in home which gave flight to an industry in its own right: online gambling. From just 15 worldwide betting websites in 1996, the market is now worth an estimate £650 million, with more than two million people in the UK owning a betting account online. It all started back in 1994, when Microgaming launched what they claimed to be the world’s first online casino. Bookmakers soon got in on the act, backing their sportsbook product with their own casino gaming: Casino-On-Net.com would become 888sport to reflect this changing landscape. In 1999, Betfair was launched, the first online sports betting exchange and a bookmaker that – unusually – had no high street presence. In 2000, Ladbrokes ventured online; causing a shift in the industry which saw many bookmakers run dual operations incorporating both a web and high street presence. Some would even close all of their betting shops and operate solely online; a reflection of the changing nature of sports betting in the UK. Despite the ever-increasing popularity of online betting, high street bookmakers are still going strong and, certainly in some towns and cities, actually thriving. The demand for sports betting is ever present, and that has been supplemented by the surge in use of Fixed Odds Betting Terminals. These machines offer casino and arcade games, and are responsible in part for the continued success of bookmakers on the high street. 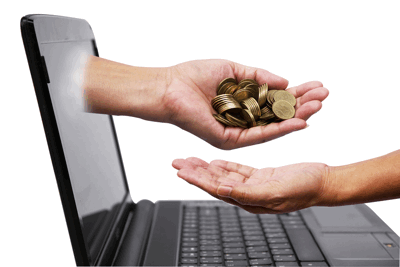 First and foremost, online bookmakers are far more convenient. You can place a bet in seconds with an online account. 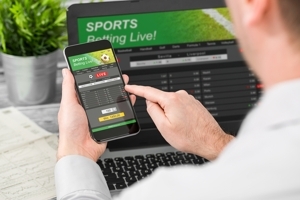 With the technological advancements afforded by smartphones and tablets, you can be sat on the sofa, on the toilet or on the bus and still place a wager with a few swipes of the screen. It’s no secret: online bookmakers normally offer better odds, particularly for accumulator bets, than their high street counterparts. Even the web and high street shops of the same brand offer different prices. Strange, but true. You will also have access to more/better bonuses online than you will in your nearest betting shop, which enables you to stretch your money further. Plus there's the added advantage that most (but not all) betting sites automatically claim offers no your behalf - meaning that if acca loses by one leg and the bookmaker has accumulator insurance, you'll bet your money back without having to do anything. With a traditional betting shop you would have to a) realise that you were eligible for the offer - which isn't always the case, especially if they have a lot of them and b) head back down to the bookies to claim. Head into your local betting shop and you will be greeted with banks of TV screens with horse racing, football and all manner of sporting goodness on show. But many online bookmakers offer live streaming of thousands of events and matches, so you can pick which to follow. You can even stream horse racing, football, tennis and much more right to your phone. A decade ago in-play betting was a mere apple in the industry’s eye. But the increased prominence of online bookmakers created a new monster for punters to get to grips with: for many, this is the only market they now wager on. Similarly to in-play, the sheer notion of ‘cashing out’ your bet would have been laughed at hysterically a decade ago. Fast forward ten years, and it is now one of the most ubiquitous features an online bookmaker has in its arsenal. And with partial cashout you can even hedge your bet in stages, leaving part of your big acca to ride whilst securing yourself a payout if it were to go south. You would think that the cash element of betting on the high street would be a major arrow in the betting shops quiver. After all - from your bet being settled to your withdrawal being process and then preferred transaction method being completed, it can take a number of hours for your bet winnings to go into your bank account when betting online. But with high street bookmakers, you will be paid out in sweet, sweet cash that you can spend immediately! However, some bookmakers offer the best of both worlds with high street locations combined with an online betting site linked via a common account (usually a membership card or username and PIN). This enables you to have the freedom to bet from wherever you like on your phone, tablet or computer but pick up the winnings in cash from a physical betting shop. See our main cash betting article for full details, or head straight to Coral who have one of the best online/offline combinations. There are hundreds of places to bet on the internet, and choosing between them can be a daunting task - especially if you're new to the world of online gambling sites. At BettingSites.org.uk our team of expert reviewers have put the bookies through their paces and come up with a series of comprehensive guides to the best betting sites for people in the UK. On the website we have two main sections, one for sports betting and one for online casinos. Many of the sites we recommend feature both types of product, but we review them independently as there can often be quite a difference in quality - a top notch bookie may have great odds and a cracking in-play section, but a terrible casino (and visa versa). If you want the best of both worlds and are looking for recommendations of operators that provide a great all-round experience, then head to our gambling sites section. The focus on this site is quality and so with this in mind we have hand picked a small number of the best bookies and online casinos in the UK for you to choose from. If you're primarily looking for bonuses we also run a sister site dedicated to offers that has a larger list of bonuses - BettingOffers.org.uk. On the site we cover free bets for both new and existing customers and sign up bonuses for online casinos. We also track promotions for major events such as the Cheltenham Festival and the World Cup. Smaller events aren't forgotten either with coverage of everything from the French Open to the World Snooker Championships complete with previews and betting tips to help you select your bets. You can see the full list of events we cover here. Betting should be a fun activity that's only ever undertaken as a form of entertainment. Even with 'dead certs' there is a strong chance that any bet you place could lose, and so you should never bet with money that you cannot afford to lose. Similarly it is also important to ensure that you stay in control of your gambling at all times, and never chase your loses. Stakes can quickly accumulate when trying to 'win back' lost money, turning a small loss into a big one very quickly. Finally remember that gambling is supposed to be enjoyable and exciting - if you're no longer enjoying it, or feel like you may be gambling too much, then it's probably time to take a break. Avoid betting when tired, stressed or anxious and don't let it get in the way of normal life. 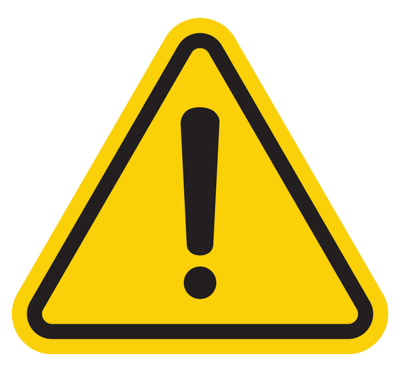 For more information about responsible gambling see the Gamble Aware website. You can also call the national Gambling Helpline on 0808 8020 133 (open from 8am to midnight, 7 days a week) or chat with an advisor on the website.